On October 24th 2012, Margaret Atwood released her latest novel, a serialized zombie horror novel co-written with the relatively unknown young British author Naomi Alderman, through the free online reading service Wattpad. As of today, Monday, November 5th 2012, it is being read by approximately 4,300 people. By conventional Canadian bestselling wisdom, The Happy Zombie Sunrise Home is a bestseller in just under two weeks. And it’s not even a completed novel. Is this the future of publishing? Or, at least, a straw on the back of traditional publishing’s camel? Wattpad is a fascinating service, and I can see why traditional publishers are hand-wringing over their future given the existence of this and other similar services. Let me break Wattpad down for you. Wattpad lets users upload content, usually grouped as a project divided into “parts”. In June it reportedly hosted more than 5 million user-generated stories in 25 languages. These stories (and poems) can then be read on Wattpad’s website or with Wattpad’s app by any number of its 3.5 million registered users. Stories are tagged with genres – most popularly, Romance, Teen, Vampire, Fan Fiction and Fantasy – as well as some miscellaneous write-in tags, then sent off into the ether. Readers “discover” future reads through browsing (much like Kickstarter) rather than with a more fine-grained searching process. Getting read on Wattpad depends on readers finding your story. Readers can browse by vague criteria like “What’s Hot”, “What’s New” and “Undiscovered Gems”, they could choose to investigate your book if it happens to pop up in your randomized “recommended” window, or they can be directed right to your story with a link – if someone brings that link to their attention. The default browse option is the “Hotness” chart. “Hotness” is determined by a top-secret Wattpad blend of activity measures. Your story gets a boost for being new. There are points for new chapters being added. You get points for receiving “reads, “votes” and “comments”. The highest scoring books will show up first and most often when readers go to find new books. A long-completed book will tend to flounder. So will a book that doesn’t get enough “activity”, which means reads and votes. New writers are encouraged to get the word out, to stump their book amongst their friends and relatives. The reward for getting those favours is a higher ranking in the search engine, which hypothetically will result in more “real” reads from actual Wattpad users. A system like this rewards the serialized novel. With new updates every few days or weeks the novel has constant activity and thus a high ranking. Not surprisingly, a typical Wattpad reader has a dozen or more stories on the go at once. Each book might only update a couple times a month, so they read more of them at a time. A book or author that doesn’t update might be forgotten as new, active, hot reads are found. Two things you have to understand: an enormous amount of what is on Wattpad is terrible. I mean, it’s really, very bad. 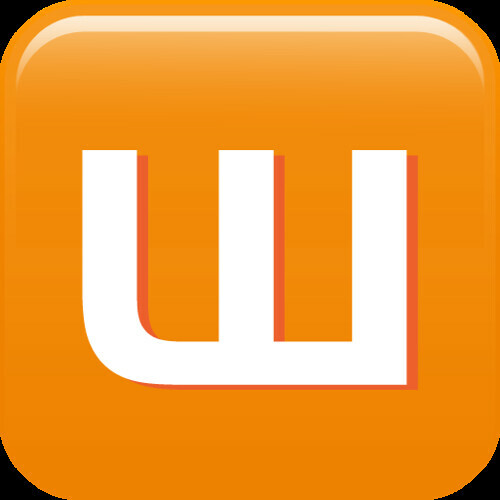 The average age of the Wattpad user is 20 – no small number of the stories are written by the 14-16 year old bracket. But secondly, many Wattpad users don’t seem to care. Things you might consider to be fundamental to a novel like spelling, grammar and, oh, I don’t know, an ending are routinely disregarded on Wattpad. Some of the hottest, most-viewed titles on the page barely qualify as amateur. Do the readers care? Apparently not. There are millions of users reading millions of stories a dozen at a time and absolutely nothing offered by a traditional publisher matters to them. The editing? Design? Advertising? All irrelevant. The traditional publisher has absolutely no place in the reading lives of these users. These readers have always existed. The internet age did not create them. Janice Radway’s 1984 ethnography of romance readers, Reading the Romance, reported that something like 88% of her romance readers were reading between 1-9 romance novels per week. That’s 50-450 per year. They were devouring content with very little, let’s be honest, literary value. If we’re generous and assume those novels cost as little as $4.99 each, then those readers would have been spending $250-$2250/year on just romances. Each. Well, now they can get them for free. These are the readers that services like Wattpad, Smashwords and Fictionpress appeal to, and this is the money that traditional publishers are hemorrhaging. The hand wringing – I get it now. That’s a lot of money. And how much of that money was underwriting the publication of the much-less lucrative literary fiction? Literary fiction would have a lot of trouble in this format, Ms. Atwood’s efforts notwithstanding. There is simply no time to edit, let alone revise. I won’t even touch on the very-welcome input of third-party editors and fact-checkers. Speed is the name of the game: you need to update your novel at least every couple of weeks, and while you are welcome to go back and make changes to previously-published chapters, it’s unlikely any of your followers will go back and take any note. Dropping a whole, edited novel at once doesn’t capitalize on the algorithm for getting your book to the top of the charts. A successful writer in this medium pulps out quick, easy-to-understand content in short bursts and spends the rest of her time working the forums and social media sites. Reading, research, and consideration are secondary concerns you won’t likely have time for. This type of reader is impatient. Content has to be delivered quickly, and that content has to be understood quickly. If your novel takes three chapters to set up mood and setting, you may be doomed. Despite Wattpad’s being a free service filled with free content, its highest ranked writers do try to monetise their work. A number of Wattpad writers have snagged agents and traditional publishers for their work, most famously Brittany Geragotelis, author of What the Spell & Life’s a Witch, who got a 3-book, 6-figure deal with Simon & Schuster for her trouble. Many Wattpad writers also self-publish their completed work through Lulu, Amazon or Smashwords, or continue to offer their first books for free while charging for sequels. Already-published authors also make an appearance, contributing partial novels or short works in order to whet an appetite for the completed work, for money, offered elsewhere. I’d love to know how this works out for the self-published writer. Atwood has suggested that Wattpad isn’t a replacement for traditional publishing, but a gateway to it. While yes, because the money is still in traditional publishing, I think Wattpad’s writers see that as being the case, but I am less convinced about its readers. What does a published book offer them that a Wattpad story doesn’t? Will these readers make the transition to whole, slow books? I decided to take the dive and try the service myself, uploading a bottom-drawer manuscript to see how it plays with the reading masses. The experiment has been informative – I am no nearer to knowing if my book is any good, or if anyone likes it, but I am becoming deeply aware of how important author engagement is to getting there. It took very little activity for my book to shoot up into Wattpad’s Top 20 Hottest books, but much of that activity is readers glancing at the first chapter and moving on. The same can be said for Happy Zombie Sunrise Home – the first chapter has been viewed 10,000 times, vs the 2,200 who have looked at Chapter 4. About 1 in 5 readers sticks with in, meaning you need to get that many more people to even go take that glance. This means chatting people up, handing out your card and yes, keeping the book on the charts. It is no different than a traditional novel. How many books sold sit unread on shelves? This is certainly a cheaper way for a reader to dabble. Readers are coming to expect to be able to sample for free – publishers now routinely offer first chapters for reader perusal. Whether the reader is willing to pay to continue is the million dollar question. 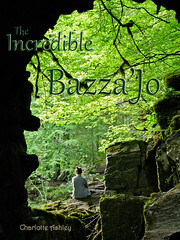 So in keeping with the spirit of Wattpad I offer you a sample of my book, The Incredible Bazza’Jo. It’s a Young Adult Fantasy with colonial, environmental and social themes. It also has, if I do say so myself, some really excellent action and adventure elements, as well as an “age appropriate” romantic sub-plot. Click away! And while you’re at it, take a look at Wattpad and let me know what you think – a fad, or a keeper? Will these kids grow into paid, long-form books? I never quite understood why more Letterpresses and Private Presses don’t do more editions of popular works of literature. It seemed to me, from a new-book bookseller point of view, to be a no-brainer. Customers are forever asking me for “nice” editions of their favourite literary classics, and the texts themselves are open source. How much work can it possibly take to just choose, say, Pride and Prejudice as your next publication? Well here’s your number: About $20,000 worth of work. Vancouver’s Bowler Press has apparently been thinking what I’m thinking, and unlike me, the ignorant outsider, they know what the hurdle was. It’s all very well for me, a frontline bookseller, to identify a potential market, but it’s quite another thing for a craft bookmaker to find and connect with those customers, most of whom are not your usual Private Press fanatics. So you print a run of a “popular” text for a more mainstream audience – then what? How do you get them into the hands of those buyers? Kickstarter, that’s how. Indiegogo. The internet seems to have finally come around the an idea that has, in fact, existed in publishing for centuries: the subscription model. You secure your buyers first, then print the work. The model never really went away – I bought an edition of John Crowley’s Little, Big by subscription a few years ago, and Subterranean Press has been printing numbered & lettered editions of George R. R. Martin’s Song of Ice and Fire books for years, to name a couple of examples. But it seems to me that the ability of any given publisher’s ability to really connect with the potential subscribers hadn’t really come into it’s own before now. A brief history. In the early 1830s an architect named Owen Jones decided to undertake a publishing venture, a full-colour guide to the Moorish palace, the Alhambra. 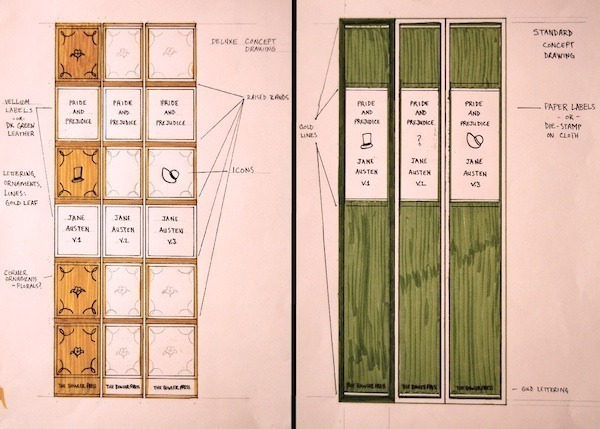 At the time, printing technology was insufficiently sophisticated to really do the work justice, so Jones decided to basically invent (or perfect) a new printing technology for the job, chromolithography. Inventing a new technology and then mobilizing it to produce a book which would have, to say the least, a limited audience was going to be expensive work, so Jones appealed to subscribers to fund the project. This was a slow process. It took Jones more than ten years to get enough money to complete the project, eventually published as the 12-volume Plans, Elevations, Sections and Details of the Alhambra. A plate from Jones’s Alhambra. Ten years. By comparison, Bowler Press is going to try to raise their $20,000 in a month and a half. If this works – and it should, if there is any justice in the universe – every Letterpress operator out there should pay close attention. In my humble opinion, this can work, regularly and consistently. I mean look at this: most of Bowler’s contributors aren’t even committing to buying the book itself, they’re buying the ephemera. More and more, regular folks are considering Kickstarter and Indiegogo legitimate shopping destinations. It is becoming more than just a rallying point for fans. I’d just love to see more projects like this out there (and not just because I have a budding Kickstarter problem). Please? It has worked before, and it should work again, better than ever. I know, I’m embedding a YouTube video, right? Well, it’s been a slow week. Another week, another round of articles about the death of the independent bookstore. This round has been precipitated by the announcement that the Flying Dragon Bookshop at Bayview & Eglinton will be closing its doors within a month or two, despite having just won the 2011 Libris Award for ‘Specialty Bookseller of the Year’ from the Canadian Booksellers Association. The tone of the response has probably been shaped by Flying Dragon’s assertion that they simply don’t want to adapt – “at the end of the day we realized that for us, it was all about the books and the tactile, sensory experience they [books] provide.” says their blog. Last week I responded to Natalee Caple’s assertion that clinging to the old conception of “book” is elitist (or at least hegemonic). This week I see similar claims being made by Amy Lavender Harris over at Open Book Toronto in her article “Authors of our own Misfortune: the Death and Afterlife of Bookselling in Toronto“. They both speak of a resistance on the part of booksellers to embrace new technology. Well, I’d like to address a couple of the misconceptions that seem to underline this stance. 1. Independent bookstores in Canada can not sell ebooks. I’ve said this before and I will say it again. We aren’t resisting ebooks (much). We’re not failing to adapt. We are simply not able to distribute ebooks. Publishers will not sell them to us. Big ebook distribution schemes like Google eBooks don’t have Canadian rights set up yet (and may never). To sell ebooks bookstores and publishers would need to arrive at an agreement as to how to track, sell, and remit for digital rights and so far, it appears to me as if publishers are not putting bringing independents into the loop as a top priority. Amazon, Kobo, Apple and Google, with their internal programmers, have come up with a scheme for them, and publishers simply need to sign on the dotted line. No independent has the resources to develop such a scheme. 2. Believe it or not, not all customers are clamouring for ebooks. A short anecdote. Last year we had a professor order through us a book for his course, a collection of Robert Louis Stevenson’s short stories. The only available edition was a cheap, cheap Dover, but it was also available free online. So we ordered far fewer copies of this book than others, thinking students would just read it online or download the ebook. A foolish decision, it turns out, because the students overwhelmingly wanted the “real thing”. It wasn’t the nature of the book that deters customers: it’s the price. When the price is low enough (in this case, less than $3 CDN) they want the real book every time. Converting to a cafe/event space with a few “display copies” of books would not be serving the interests of the customer. 3. “Local” is a geographic term. It has little meaning on the internet. Everything that makes an independent bookstore great is dependent on meat-space. We curate specific collections tailored to our customers. We provide the service of a conversational, knowledgeable bookseller who knows the stock and can help you find or choose the right book. We bring cultural events into your local neighbourhood. An independent which goes whole-hog into ebooks isn’t going to be able to offer these things for very long, especially when one of the chief advantages to ebooks is the fact that you can buy them from home, or, really, anywhere you want. I question the value of a “store” which is, essentially, an empty space used for occasional events where a bookseller is made available for advice. Perhaps my customers are unusually skittish, but they want to be left alone to browse and hide in the stacks until they require my advice. If I didn’t offer them books to browse, they’d shop from home. Books have a small mark-up – 20-40%. Driving customers out of the shop would quickly make the space a waste of time and money. Once I am online only, then what? What value am I bringing to my neighbourhood? What makes me different from Amazon? I am beginning to suspect that you can’t have your cake and eat it too. Independent bookstores are a specific business – we are a physical space containing actual humans who sell physical books. Ebook sellers are something else – no space, no humans, and no books. Which is great, but it’s just not the same business. A farmer who decides to sell condos on his land isn’t “adapting”, he’s getting out of the farming business. None of the value of a farmer has been retained in the change. So, okay, ebooks are fab for a lot of things, like staying in your house, saving your money for some non-book-purchase, and saving shelf-space for some non-book storage. But can we not kid ourselves? There’s nothing to this product or paradigm that benefits someone whose skill, whose vocation, whose livelihood is to know, identify, recommend and sell books. We still have a use, but it’s to offer all those things ebooks don’t require. Maybe the future is better off without this middleman; maybe readers don’t need curators or trusted local experts. That could be. But we can’t be blamed for wanting to maintain our vocations. ETA: Navneet Alang adds another voice calling for the circumvention of the traditional bookstore. To which I say, the Type/TINARS model is certainly one way to engage in literary culture, but I’d argue that both are supported by a particular set of people. Youngish literary types – writers and publishing folks for the most part or I’ll eat my hat – who enjoy the “scene” and, collectively, can support probably one such store. I’m not convinced the average reader has much interest in carving a social life out of this (hip, trendy) literary scene per se. I certainly don’t. I read books for a lot of reasons, but a big one is because parties and social functions scare the bejeezus out of me and I’m much happier curled up with a book in the company of my family. Again, the skittishness and stoic browsing stance of my regular customers leads me to believe this model would serve, at least, my customers very poorly. Your Long Weekend Homework: Books as Ephemera? Lobbing a heavy one into the crowd today, in case you lot are the sort who prefer to spend a sunny Victoria Day weekend casting bones and mulling over puzzles instead of, say, sitting on a dock in Muskoka sipping lemonade, as I will be doing. I moan and groan a lot about ebooks and digitization of literature. I know, I’m tedious. One of my main bones of contention with the format is the impermanence of it. Who wants to buy a library you can’t keep? That you will lose to hardware, software, or format changes? That could vanish with the parent company? That can be edited and censored from afar? I’ve always asked these questions rhetorically as if the answer is “Duh, nobody!” and anyone who hasn’t yet come to that conclusion is simply ill-informed. But today it dawned on me – what if nobody cares? Does permanence matter? I think of how we treat video games. We pay $50-$80 for them. We play them through generally once, but sometimes over and over again if they’re truly beloved. They are unquestionably objects or narratives of cultural value and importance. Yet it doesn’t bother much of anyone when a new video game system comes out and renders all the games you bought for the old system unplayable. If the old disks, rule books and boxes are lost, it’s no big deal. Do you know anyone (anyone sane, anyway) who keeps a library of every video game they’ve ever owned, from King’s Quest and Lode Runner to Dragon Age II? Institutions have been founded which do, of course, archive these things, so they aren’t really “lost”. It’s just the average user who doesn’t care much for the longer term life of the purchase. What if it were the same with books? What would the cultural implications be of a world where, in general, readers don’t have libraries? Where thousands of copies of each title aren’t passed down from generation to generation? Libraries would, of course, archive them. Collectors would too. But what is lost if the book becomes analogous to a video game – something everyone has for a while, but which is lost and forgotten within the lifespan of the playing device? Would that really be a very big deal? I have no answer yet. I leave you with this one for the weekend! So What Is the Bookseller For? Last week I got all hysterical about the ebook market, so this week I thought I’d talk myself back to earth to some degree. I am not, and will never be, an ebook convert, but as Joe Konrath and Barry Eisler point out in this rather widely circulated interview, some people will always prefer the paper product and that’s okay: there ought to be a niche market for that. And there will, no doubt. After all, even within the paper book market there’s great a variety of technologies and processes in use. You have publishing giants producing perfect-bound paperbacks for cheap and disposable use (like Bantam), literary presses producing nice books for a global market (like Anansi), artisanal presses producing for the smaller trade market (like Gaspereau), and private craft presses who produce books using every technology ever known to man, from hand-crafted papers to letterpresses to calligraphy (like the Aliquando Press). The existence of Bantam hasn’t made a scrap of difference to Aliquando, even if they offer more books at a fraction of the cost. It’s a different market. But to say that books of both kinds can live happily side by side is not to say that all will be well in the world of a book-lover, and it certainly means not all will be well for the bookseller. Our market is most likely going to evaporate. Bookstores who specialize in the first two types of books – mass market fiction and literary fiction – are likely to vanish first, as these are the texts which appeal most to “just readers” who don’t care as much about whether paper is involved or not. Booksellers who have a more narrow focus or specialty might fare better. A customer looking to contribute to a library of, say, books on architecture for reference in his firm is not going to be very well served by an eReader, especially not the current grey scale, small-screen ones. And there’s always the Collector. This leaves the bookseller in a tight spot. You might be lucky enough to be a niche seller anyway. You might also, as some American independents are trying to do, diversify your business into ebooks. You might see if the big ebook providers are hiring buyers – after all, someone still needs to sift through publishing (or self-publishing)’s offerings and decide what to put on the front page of the website. (Though I even question the necessity of the buyer in the digital world – why not carry everything? Who needs discrimination? Space isn’t a factor anymore, and search engines hide from view everything that isn’t what you asked for anyway!) Would it be worth the rent to have a video-store-style bookshop, with bookcovers and tags in display, redeemable for ebooks at the cash register? Would the presence of a bookseller – someone to recommend and to consult – pay for the costs associated with meat-space? I think it’s a fair assessment to say that tomorrow’s print-booksellers will become like today’s rare book sellers. They are out there, and some make a very good living. But they are as scarce as their product, and in big, expensive cities like Toronto often don’t feel they need to keep an actual open shop when a den and an internet connection does just as well. I do wonder what I will be doing in ten years. My bookstore is niche, to some extent, so the realities of ebooks haven’t touched us yet. We have a customer base who are, often, buying books to build libraries rather than to read casually. We don’t deal with front-list fiction, except in so far as we feel like dabbling in it for our own sakes. Our best-selling publishers (university presses) produce books of a high physical caliber at a higher cost, which has never been a deterrent to sales. We’re doing pretty well these days. But can it last forever? It has occurred to me that what I’m doing with all my print-book advocacy and paranoid blogging is promoting the product which I know my livelihood hangs on. I sell print books now, and I will still be selling them, with any luck, in ten years. The size of the market I am selling into, and thus my chance of staying in the business long-term, depends on how well I can sell you guys on the value of the printed book. I know, and I have always known, that ebooks are a great product for a certain kind of reading. But those books aren’t my product, nor my interest. I do something different, and would like to continue doing what I do. So that’s my position, but I wonder about yours! Many of this blog’s readers are front-list fiction readers rather than collectors, and publishing industry employees too. A lot of you have eReaders and are reconciled to, if not happily accepting of, the ebook revolution. But you are also lovers and supporters of independent bookstores. I wonder, how do you see yourself reconciling those two stances? What is your ideal relationship with the independent bookseller when you have an eReader? What services to they provide you that you’d pay the premium for?